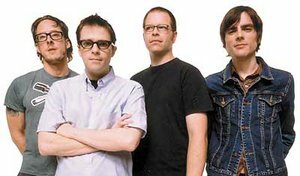 Weezer has released a new song called ‘Feels Like Summer’, and yunno what, it goes perfectly with those surprising spring days when the sun is out and you can dream of taking your jacket off. Sinaglong chorus, light enough for picnic play? Yep, it’s all here. There’s been a naughty tease about Reading too.